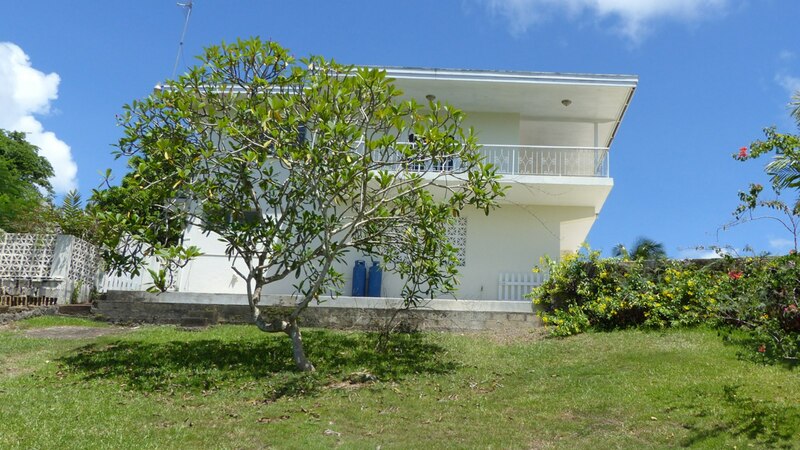 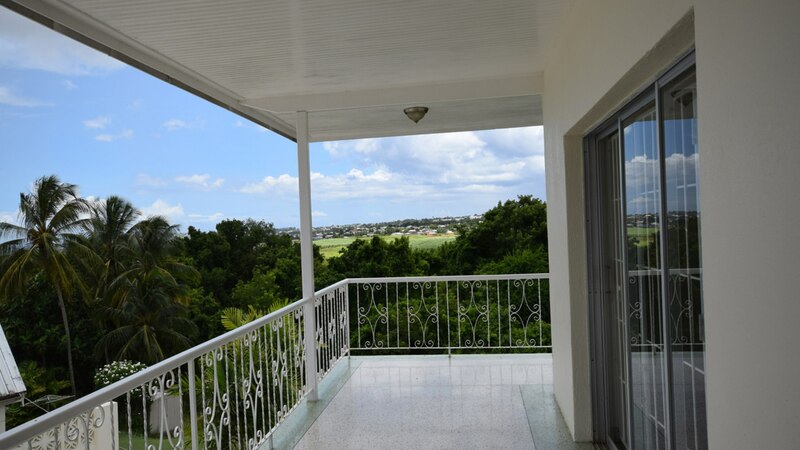 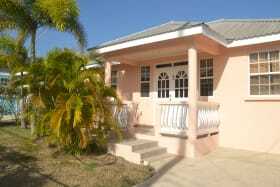 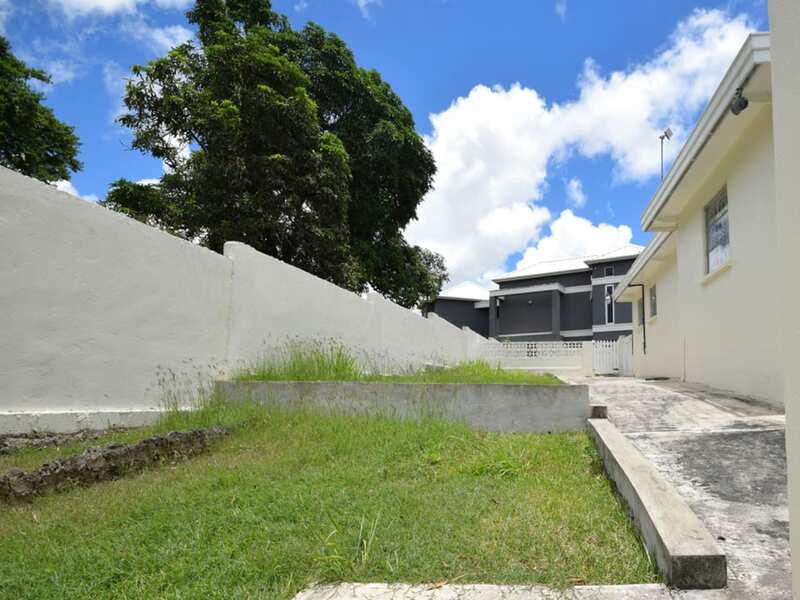 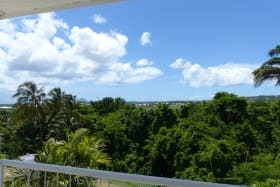 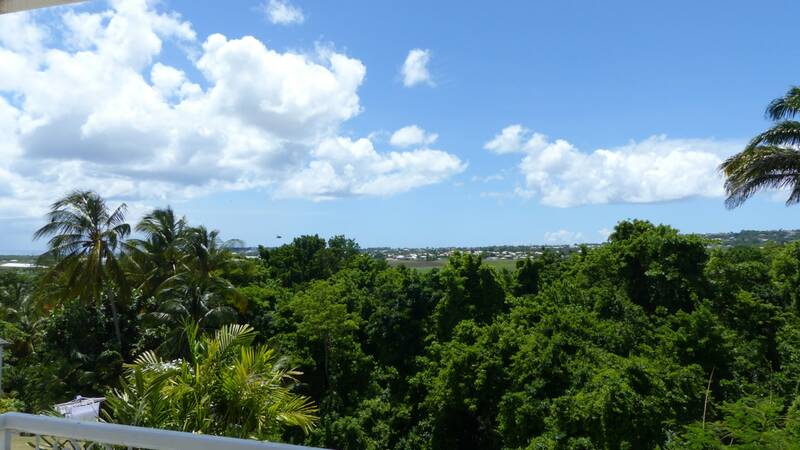 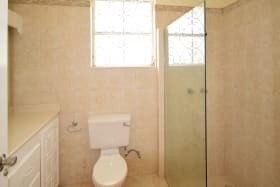 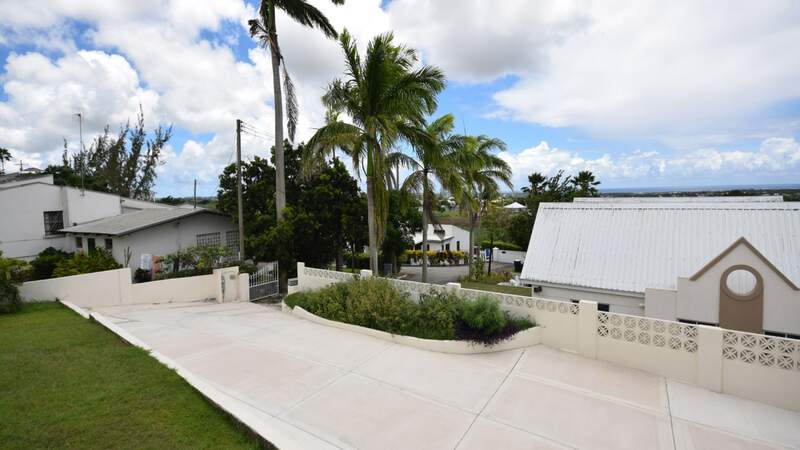 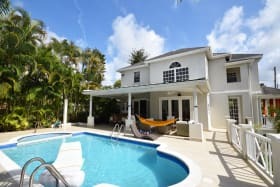 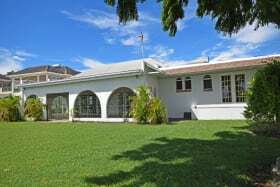 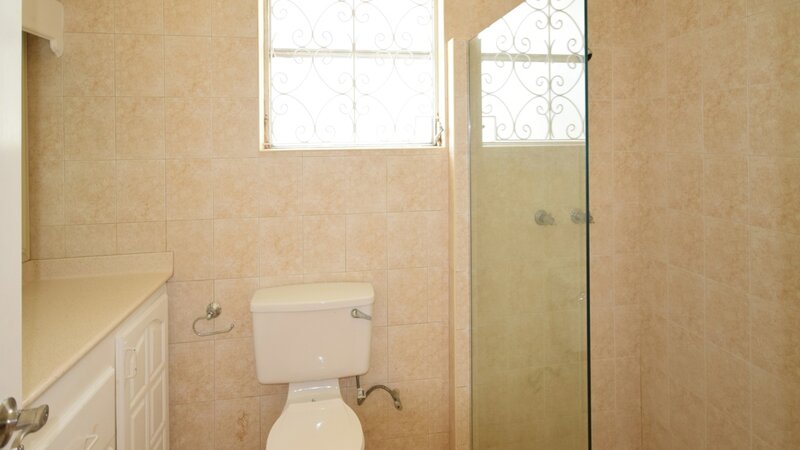 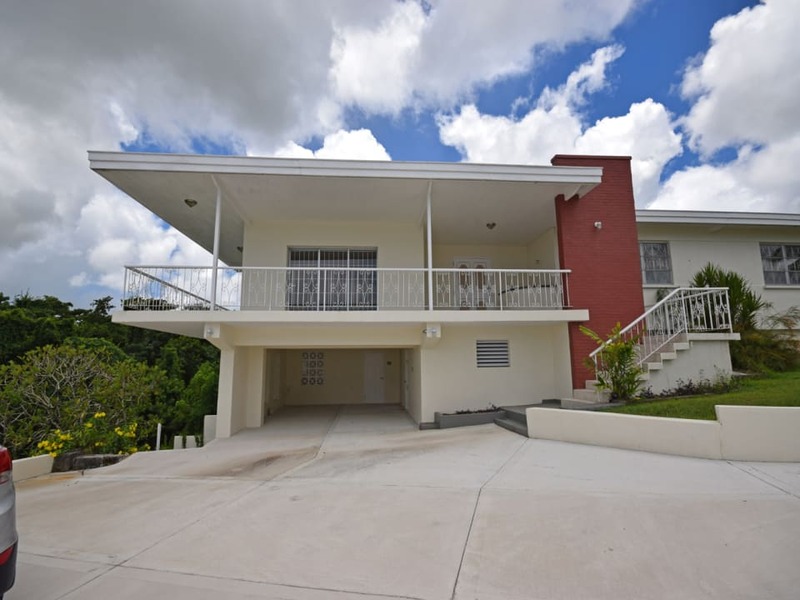 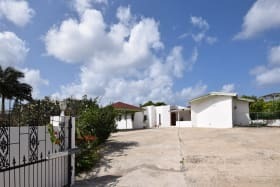 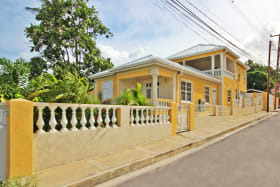 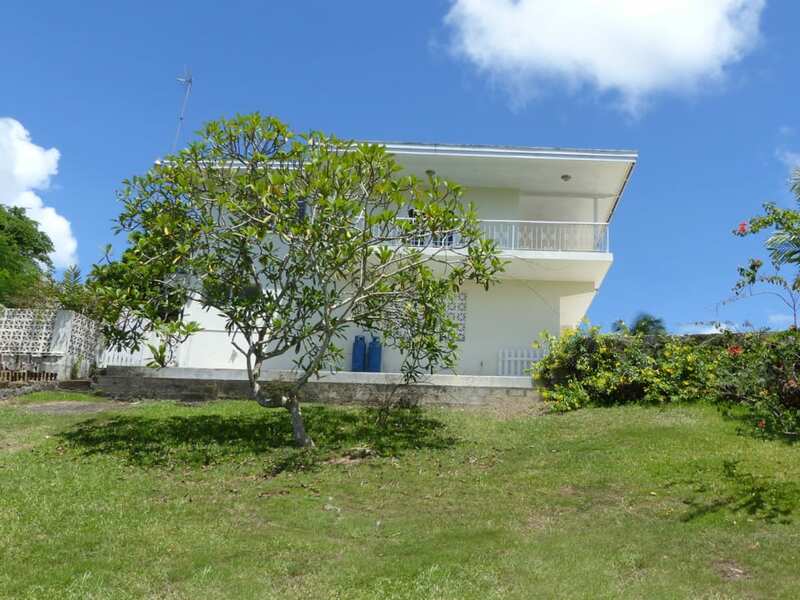 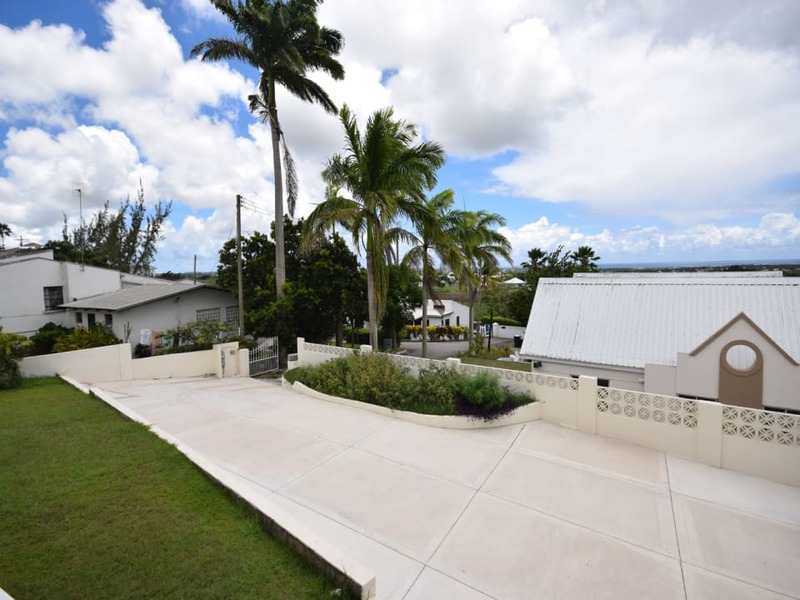 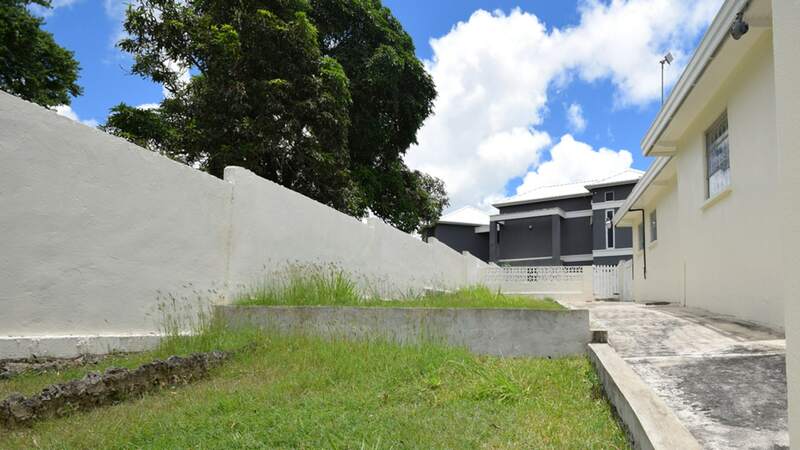 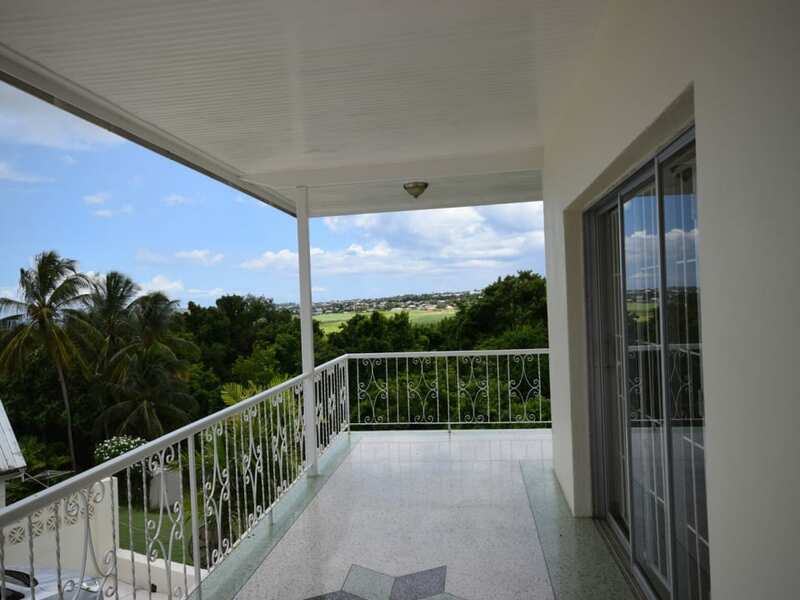 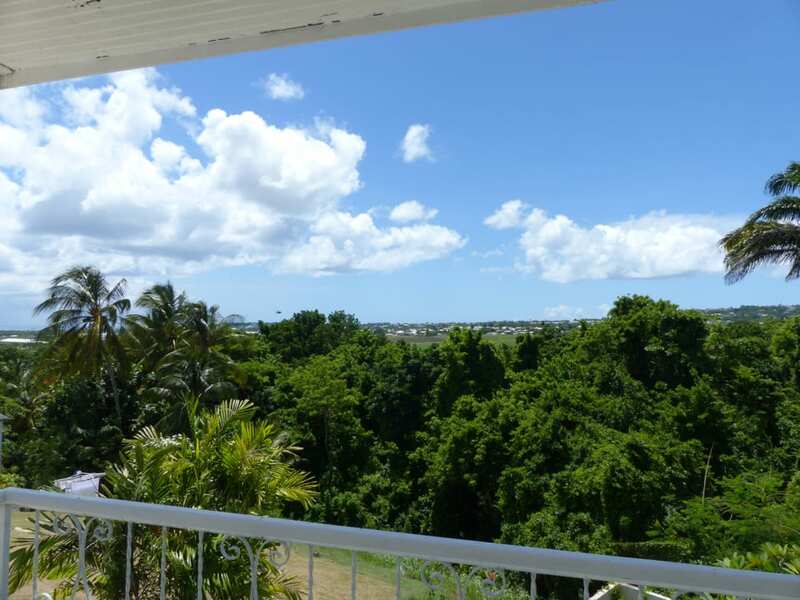 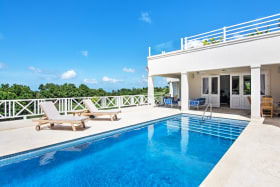 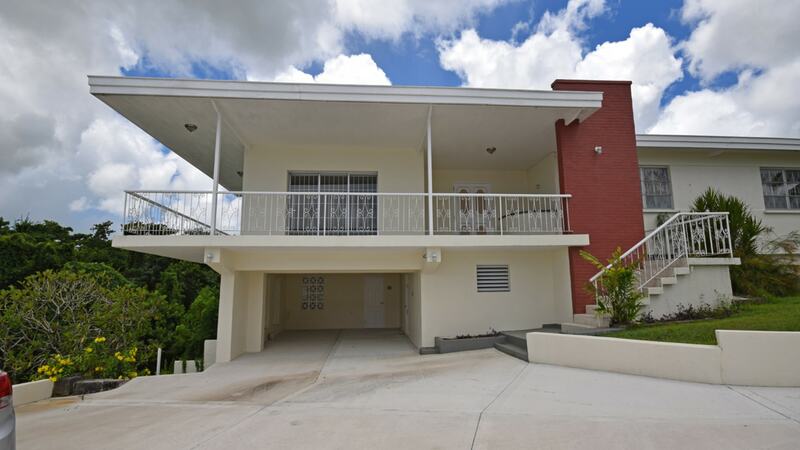 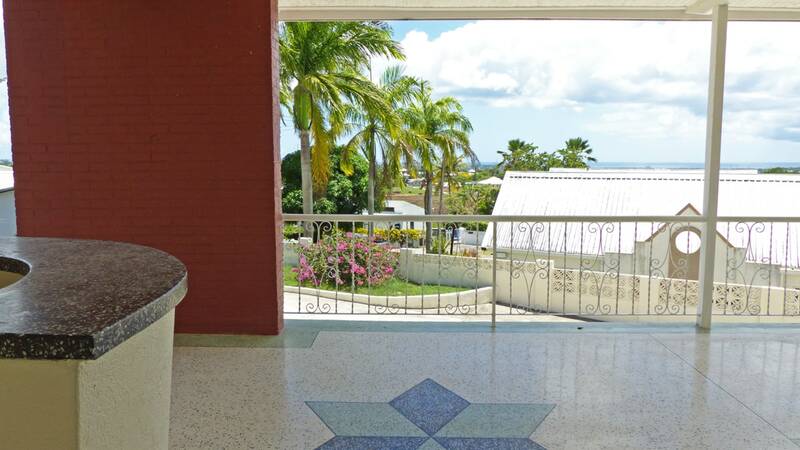 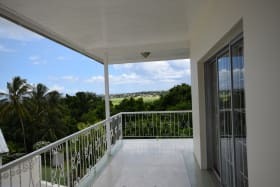 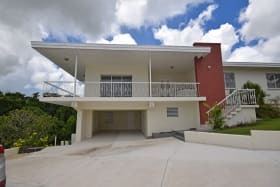 This spacious 3-bedroom plus office / 2-bathroom home is located at the end of a cul-de-sac and overlooks a lush tropical gully. 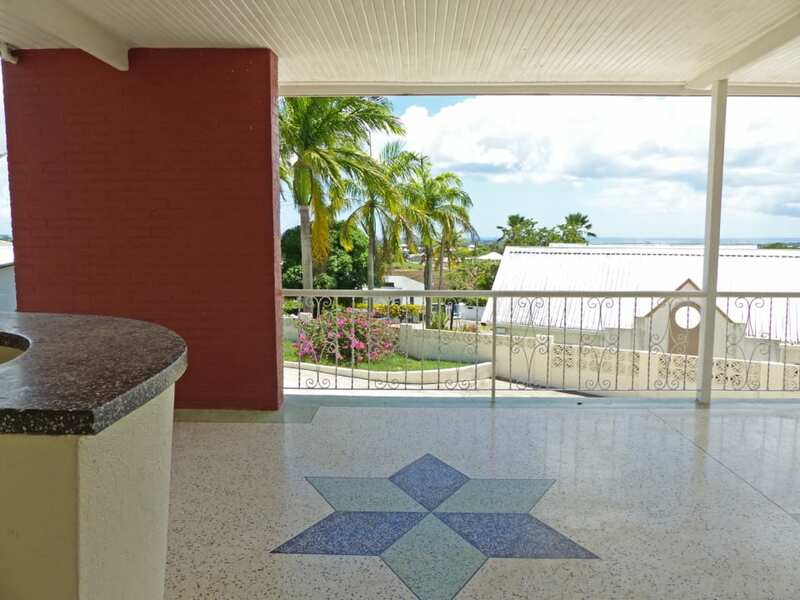 The breezy L-Shaped patio has wonderful views of the countryside and the home enjoys privacy and tranquility. 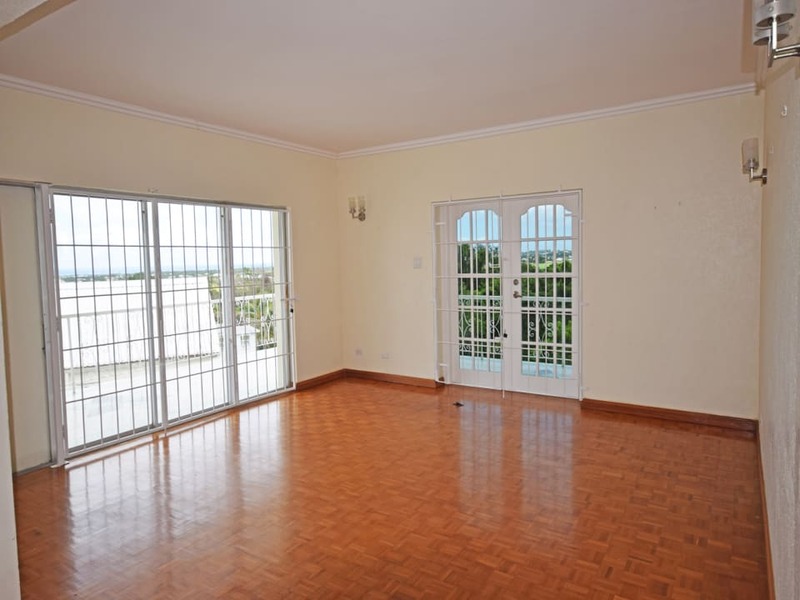 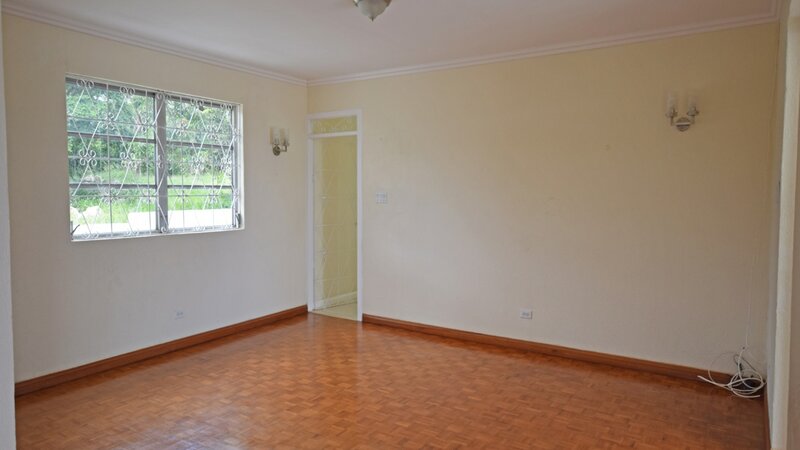 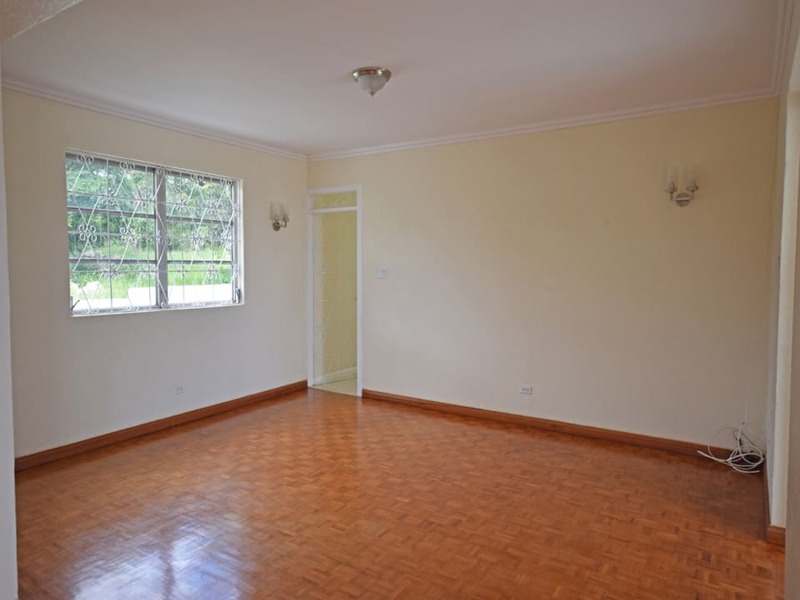 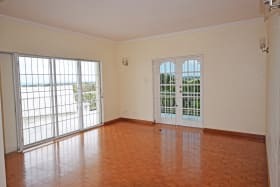 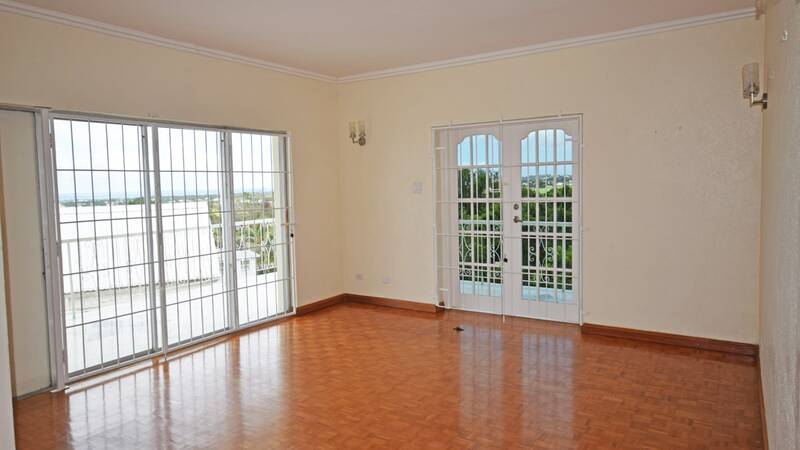 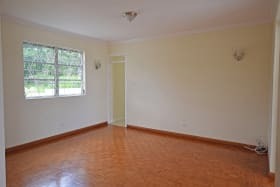 The living and dining rooms have wooden parquet floors and the large kitchen is well appointed with solid counter tops and wooden cabinets. 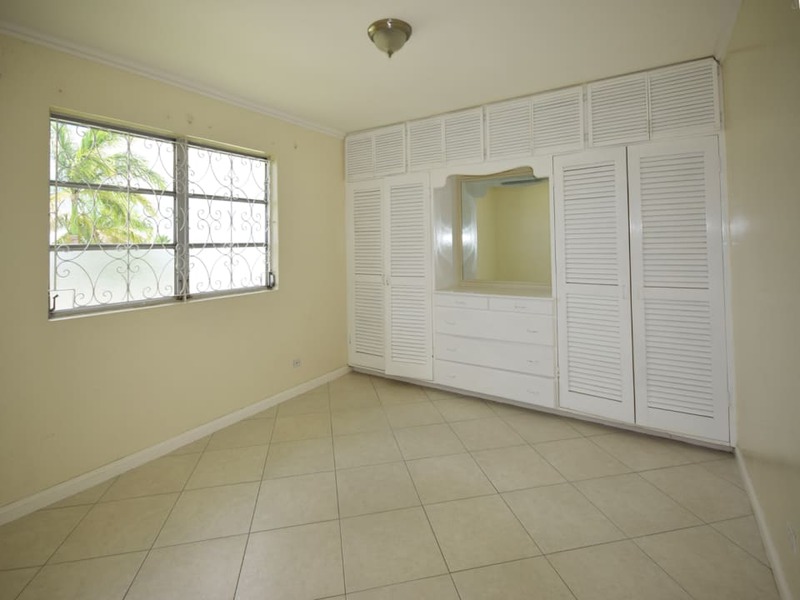 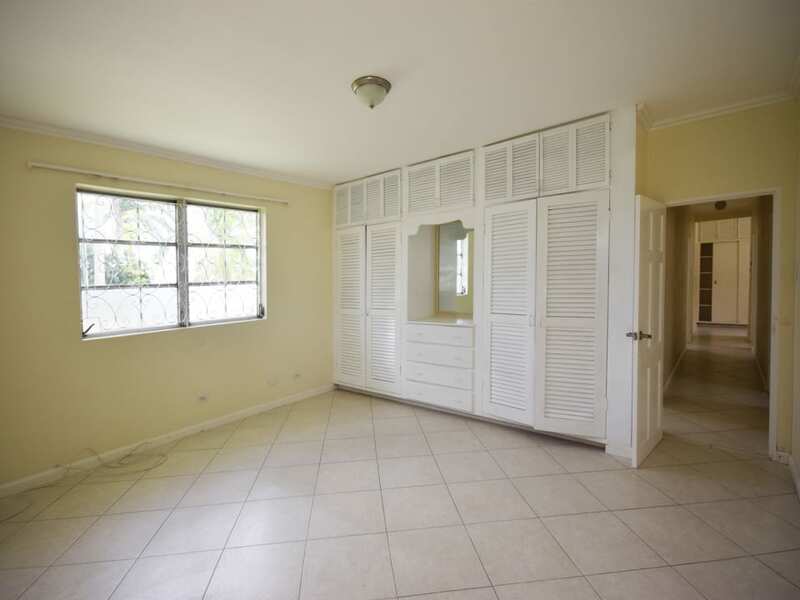 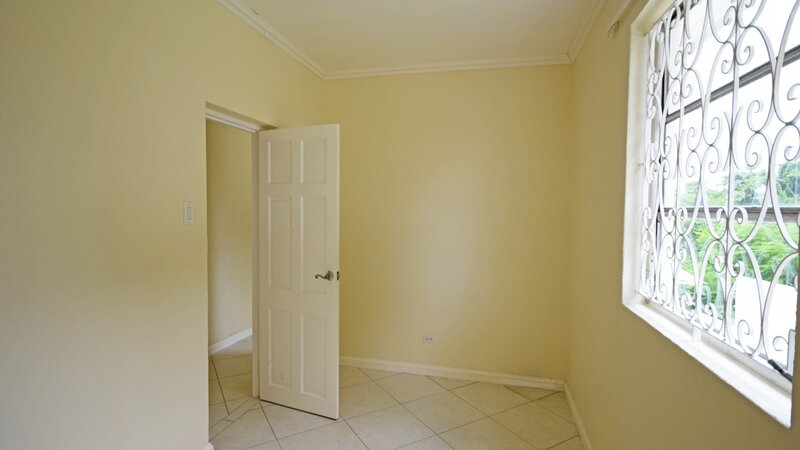 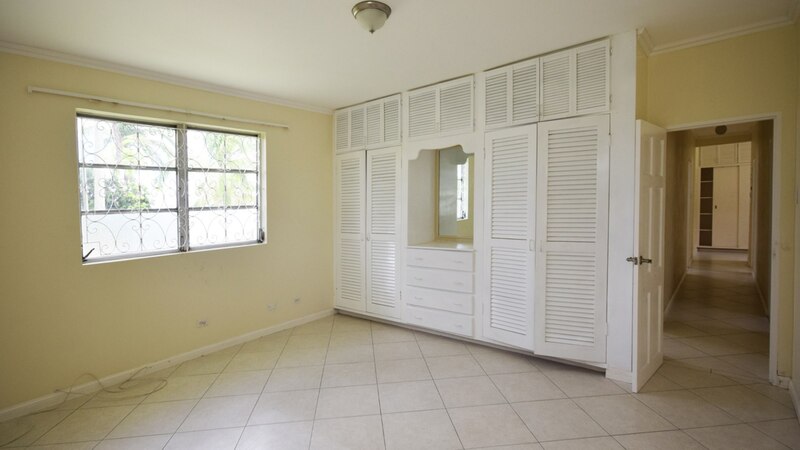 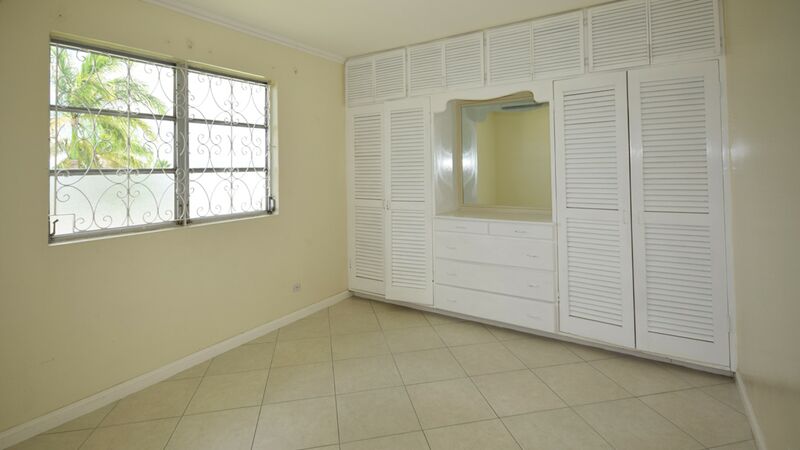 All three bedrooms are spacious and have built-in closets and there is a separate study that could also be used as a small bedroom. 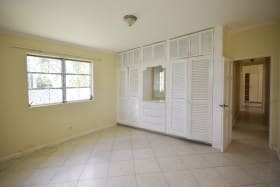 The large laundry room, two storage rooms, and a staff bedroom with a full bathroom and the double covered car port are on the lower level. 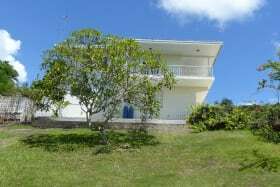 There are front and back lawns and the grounds are fully fenced. 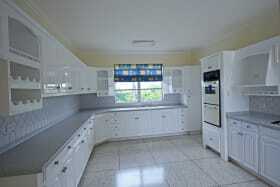 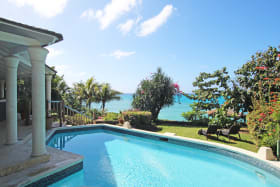 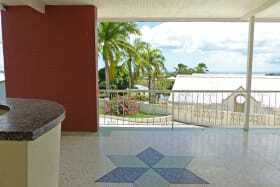 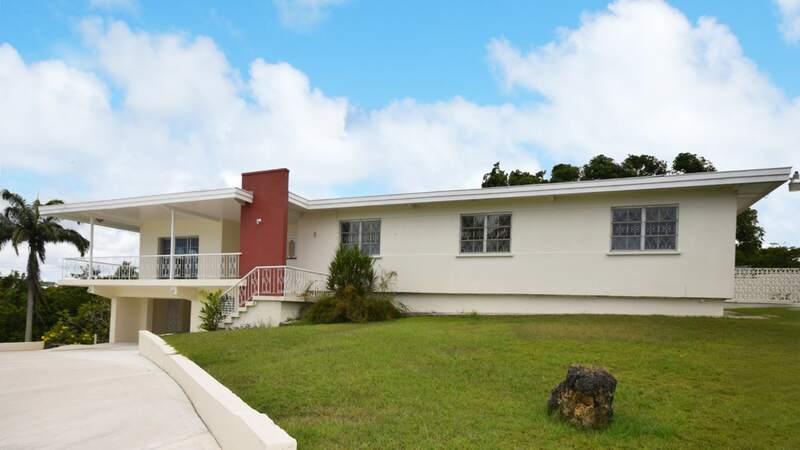 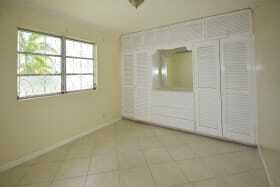 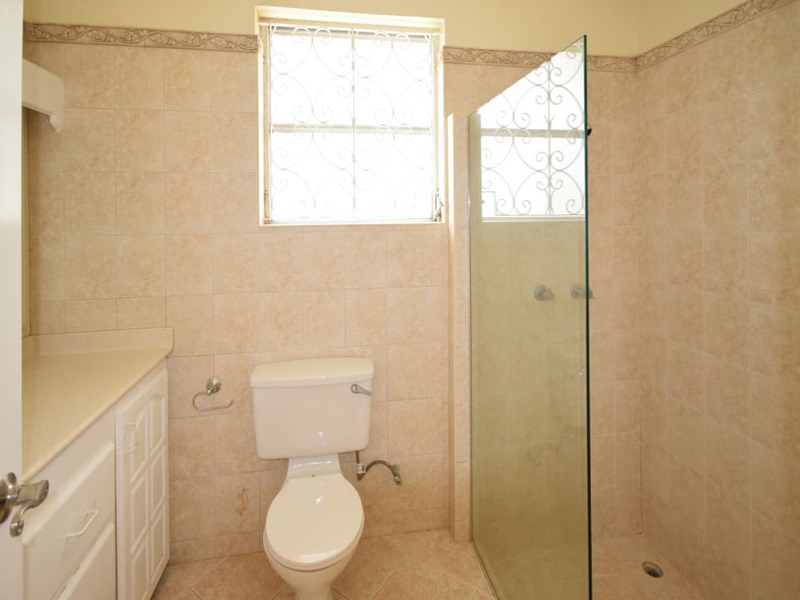 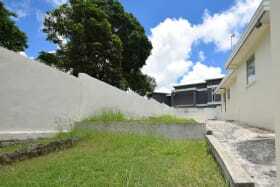 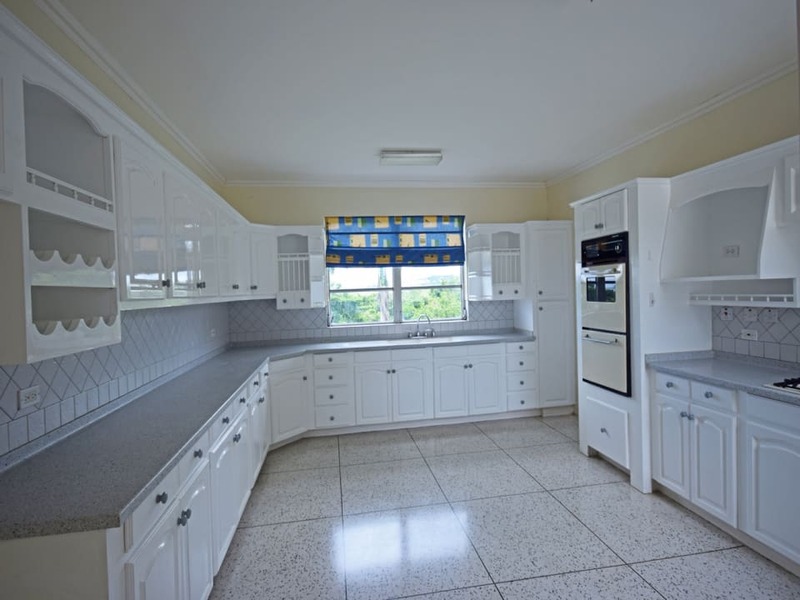 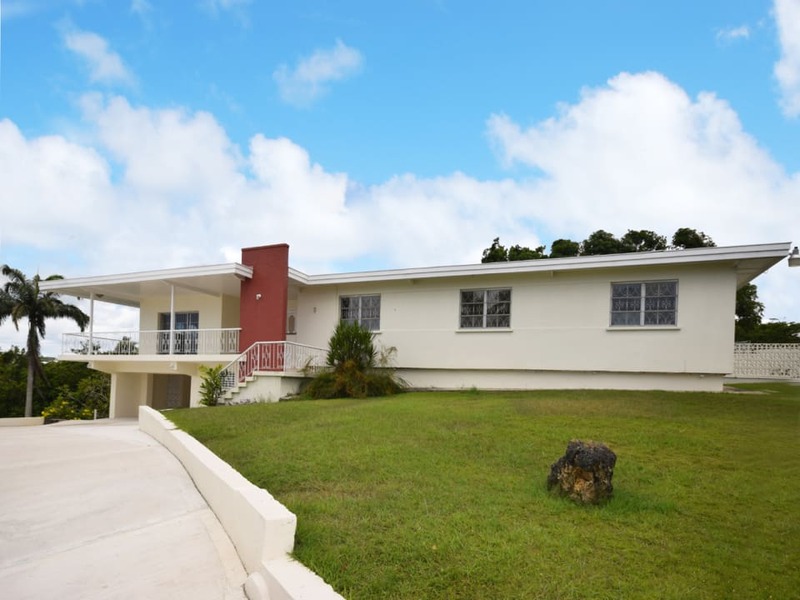 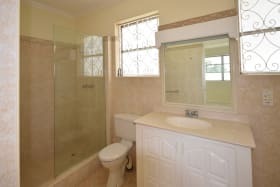 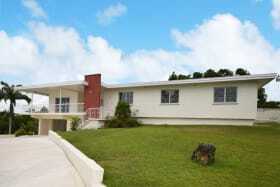 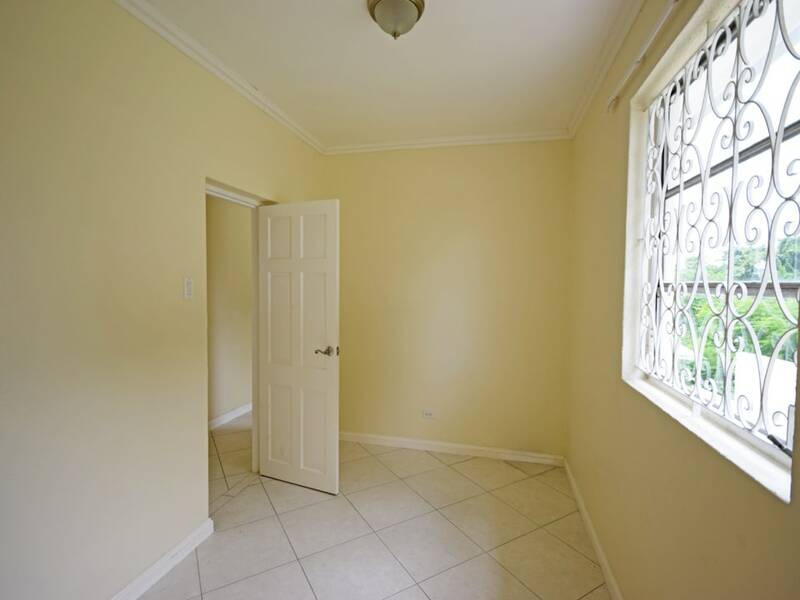 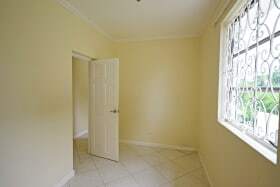 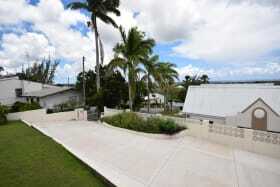 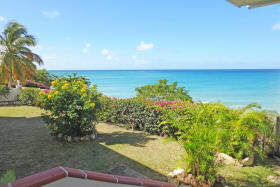 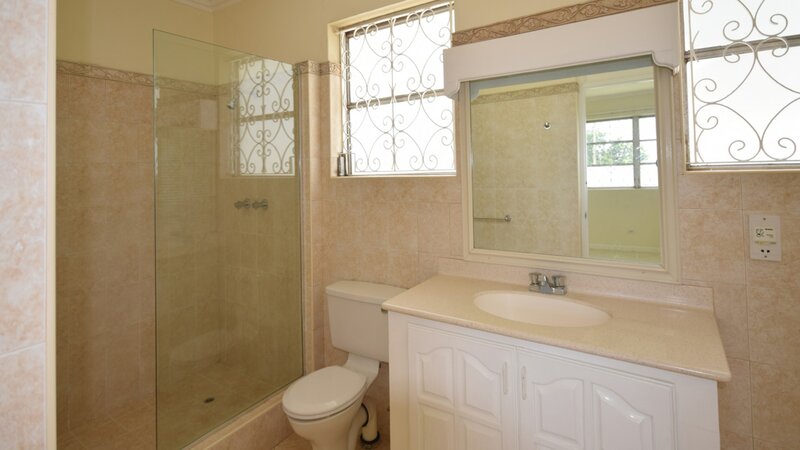 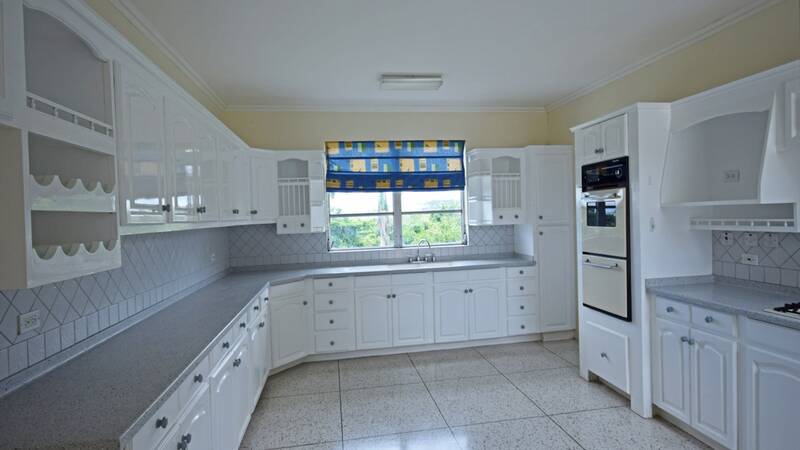 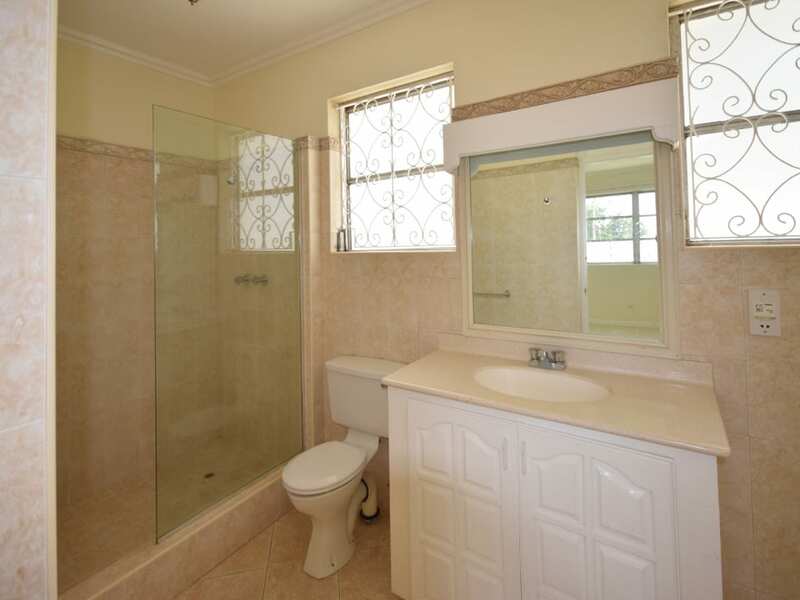 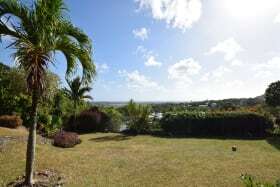 Easy access to Warrens, West Coast and all amenities and very close to Providence School.